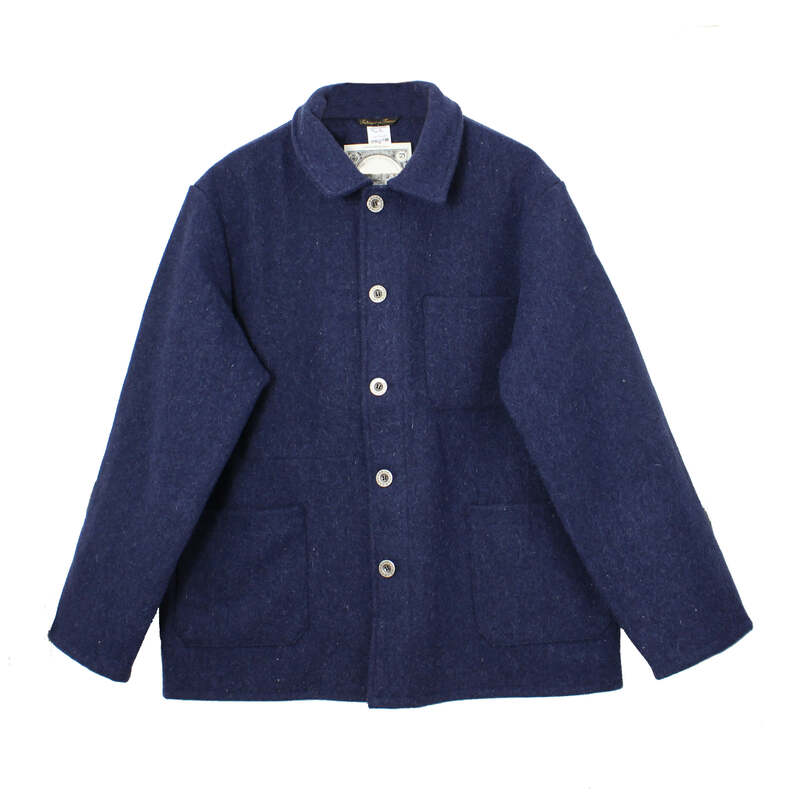 NEW for AW17 blue wool Le Labourer jackets. These top quality, traditional French workers' coats, manufactured for over 60 years by family business Le Laboureur in their factory in Digoin. They are made from thick wool from the Ouessant variety of black sheep. Size 0 - XS 18"
Size 1 - S 20"
Size 2 - M 22"
Size 3 - L 24"
Size 4 - XL 25.5"
MONOMONO in Hove, United Kingdom.